This DIY will take about 30 minutes and the roses will last years! 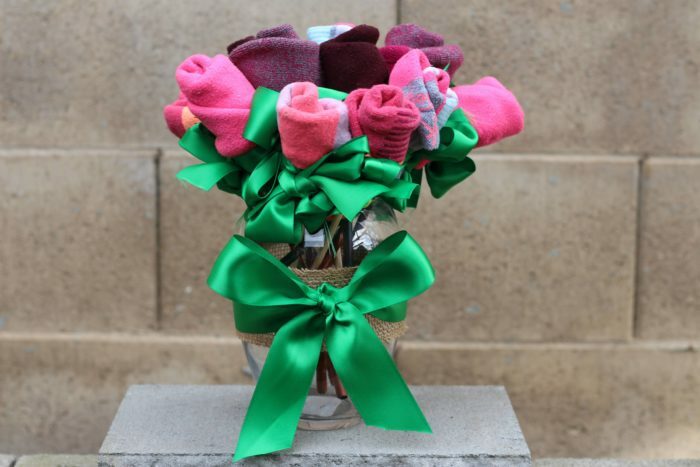 3-6 pairs of socks of your partner’s favorite socks, depending on whether you want a half or a dozen roses. Colors can be coordinated or random, it doesn’t matter. 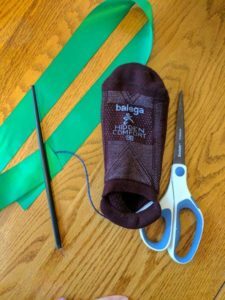 My favorite running socks are Balega of course! 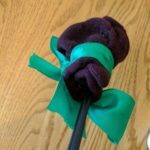 Roll your sock into a rose. I start with the toe end and work my way back to the heel, rolling loosely for an open rose. Using your nicer ribbon tie a bow around the bottom of your rose concealing the cheap ribbon and giving the illusion of leaves. 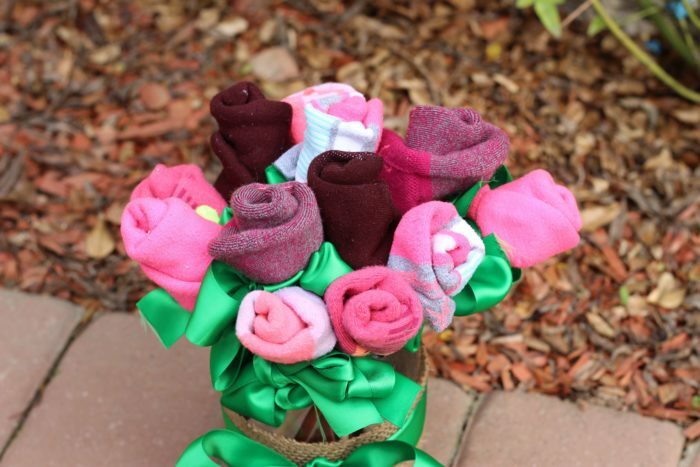 Arrange your socks in your glass vase mixing colors. Optional – My vase was very plain and I didn’t like the look of all of the chopsticks in the jar. 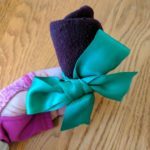 I wrapped my vase with a thick piece of burlap ribbon and tied a bow around the ribbon with my excess green satin ribbon. That’s it! 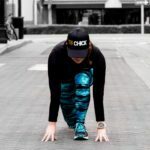 This DIY is super simple and quick. It works well for Valentine’s Day, birthdays, mother’s and father’s day or even Christmas!